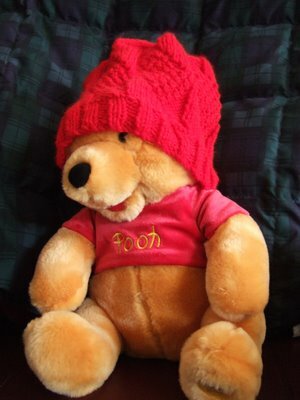 This is the first hat for the next round of chemo hats collected for donation to the UCSF Medical Center. 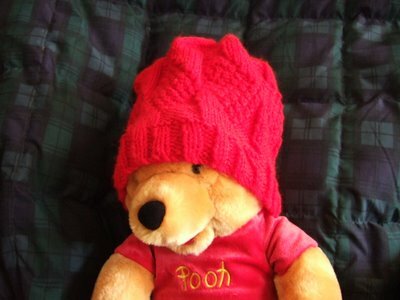 I hope Pooh bear didn't mind being the model for my hat. I'd put it on my little girl (18 months), but she can't stay still enough for me to snap a picture. Gotta love that Pooh Bear. We must be next to each other on the free pattern blog ring, I get a lots of hits from your site. 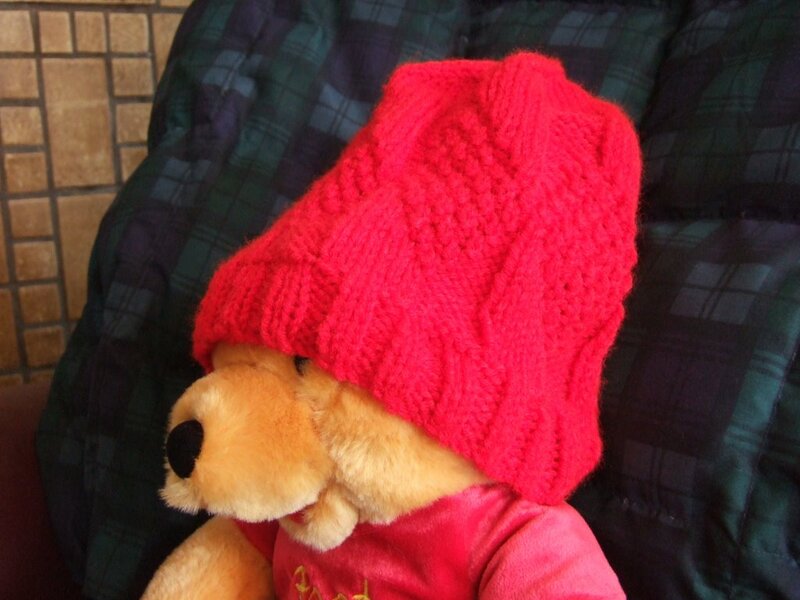 My friend and I both made this hat a couple of days ago and we are both very pleased with the results. She made the shorter version and I made the longer version. I prefer mine to hers! Thanks for the pattern!